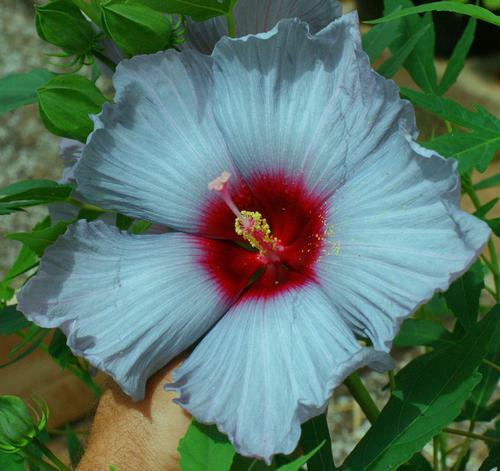 8" Blue ruffled flowers with red centers and yellow stamens will bloom prolifically from summer through the first frost, planting in full sun will get you the most flowers, naturally compact in growth habit. 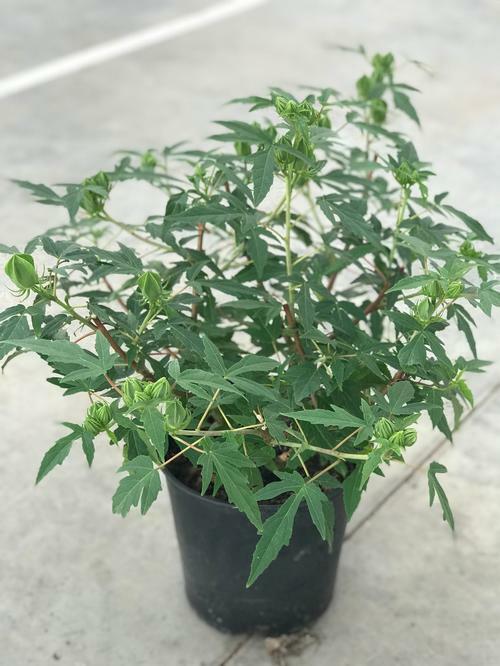 Hardy Hibiscus form large bushy plants. They bloom mid-to late summer and have absolutely huge, glorious crepe paper-like flowers. They grow best in full sun in moist soil. Hibiscus are very late to break dormancy and need temperatures above 50F before growth will appear. Place in a greenhouse or have your plants shipped later in the season when temperatures are warmer to ensure good growth.